After my spell of dancing on Stepping Out, I found myself nursing a number of injuries. A swollen knee, that was quite inflamed being the main culprit. Ibuprofin is always what the doctor or physiotherapist will suggest, but nature has it’s own highly beneficial version that not only helps get rid of inflammation but has a load of other benefits as well. These include maintaining and even lowering cholesterol levels, supporting brain health and powerful anti-oxidant and anti-ageing properties. Anyone from India probably has a good amount of turmeric in their diet, but for the rest of us it’s probably something we hardly ever eat. Time to start I think. Here pharmacist, Shabir Daya tells us why. NB – A word of warning. Turmeric is a very warming spice and when taken as a raw powder in supplement form can upset your stomach. Curcumin, the active component of turmeric, which also contains the beneficial properties of the spice, does not generally display these symptoms. That’s why the supplement recommended by Shabir is a good one. Many modern pharmaceutical drugs have been derived directly from plants and fungal species that have been shown to demonstrate remarkable abilities to improve wellbeing or have an effect on diseases at a molecular level. Notable examples include aspirin from willow bark and the discovery of penicillin from a mould by Alexander Fleming. Increasingly, scientists continue to discover plant compounds that demonstrate anti-inflammatory properties, intervene in cell mutation, have powerful antimicrobial and antiviral properties, and may also slow down the ageing process due to their antioxidant properties. Turmeric is one such compound that has been, and still is, studied extensively for all the above benefits. Although it is difficult to pinpoint exactly which country turmeric originated from, there is a huge likelihood that it was first grown in India. Indian cuisine not only includes the wonderfully fragrant and flavourful ginger, chilli and cardamom, but also turmeric, which is widely used in many curry dishes. Turmeric is not only used in Indian cuisine but it has been revered by Chinese medicine and in Ayurveda for its medicinal properties for more than 3000 years. In Ayurvedic medicine, turmeric has been used extensively because of its ability to curb inflammation and helping in the treatment of a variety of disorders. It is mixed with honey to form a thick paste which can be taken orally for sore throats and colds and the sticky paste can be applied to skin for infections and inflammatory skin concerns. Turmeric powder is also commonly used in Asia for the relief of stomach complaints and for kidney and bladder infections. In Chinese medicine, turmeric has been used for the relief of arthritis for thousands of years. These faith-based claims have been the subject of hundreds of experiments to evaluate if turmeric really does have beneficial properties. What has emerged from these studies is that turmeric contains a group of polyphenol plant pigments called curcumin, and it is this compound that is responsible for some of turmeric’s remarkable properties. 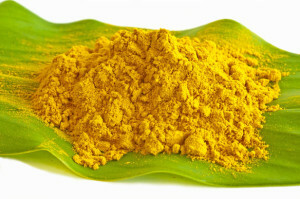 The health benefits of turmeric are primarily due to its curcumin content. Curcumin, the compound that gives turmeric its distinctive canary yellow colour, is not found in plant foods other than in turmeric. A small amount of curcumin may be found in ginger, a close relative of turmeric, but significant amounts have only ever been found in turmeric. 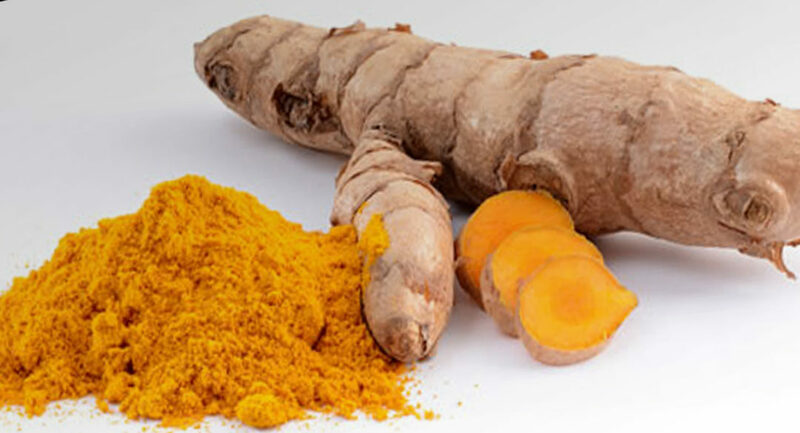 Anti-inflammatory – Curcumin has been found to exhibit potent anti-inflammatory properties. Inflammation is a normal process that occurs when your body is exposed to foreign bacteria or viruses and it sends over white blood cells and antibodies to counter these. However, when there is excessive inflammation in the body, this can lead to pain, swelling, redness and heat. Asthma, allergies, auto-immune concerns, cell mutation, heart disease, cognitive decline and numerous other concerns are all linked to excessive inflammation in the body. Natural Antiseptic – turmeric has been used for centuries to treat wounds and infections. In fact, Johnson & Johnson used turmeric in plasters to heal scrapes and cuts faster. Current scientific research shows that turmeric inhibits pathogenic bacteria, viruses and fungi including many candida species. Antioxidant – a good immune booster, turmeric displays very powerful antioxidant properties some 5 to 8 times more potent that vitamins C and E, and is even strong enough to quench the hydroxyl radical which is considered to be the most reactive oxidant responsible for damage to the body. Cell Protective – in its role as an antioxidant, curcumin from turmeric inhibits damage to the cells within our bodies and thus may help to prevent cell mutation. Curcumin has also been shown to initiate the destruction of damaged cells and to inhibit the replication of damaged cells. Numerous studies published in peer reviewed medical journals detail curcumin’s cell protective ability. Curcumin has the most evidence based literature backing up its cell protective property claims – more than any other nutrient. Interestingly, curcumin appears to be universally beneficial for just about every disease associated with cell mutation. There are many diseases associated with cell mutation and the incidence of these diseases is considerably less in countries that use turmeric in food. Relief of arthritis – due to its potent ability to reduce inflammatory compounds such as C-reactive protein, turmeric helps to protect against joint pain and swelling. An Italian study over a three month period, researchers found a 58% decrease in overall reported pain and stiffness as well as an overall improvement in joint flexibility among those taking curcumin. Cholesterol lowering and cardiovascular protection – curcumin acts to lower total cholesterol levels and interestingly it has been shown to reduce LDL (bad) cholesterol levels. Equally important is its ability to prevent the peroxidation of lipids which results in the formation of plaque that adheres to the walls of arteries resulting in the ultimate narrowing and thus increasing the chances of cardiovascular concerns. Brain Health – inflammation in the body is responsible for the degeneration of many of the body’s vital structures including the heart and brain. Curcumin’s potent anti-inflammatory properties are theorised to offer protection against cognitive decline which occurs with age. The incidences of cognitive decline are markedly lower in populations whose diet includes turmeric and although full blown clinical studies need to be carried out to confirm this, it does nevertheless appear that there is a link between the ingestion of turmeric and brain protection. There are many anecdotal reports on turmeric’s additional benefits including aiding in weight loss, controlling acne, strengthening bones and helping to counter pigmentation problems. Which turmeric supplement should I buy and why? With so many different manufacturers producing turmeric supplements, the choice of which supplement to buy can be confusing. The active ingredient in turmeric is curcumin and is normally found at concentrations of roughly 5%. Therefore supplements containing only turmeric powder will only have 5% curcumin. Aim for a supplement which contains 95% curcumin since this is the sort of strength that provides the benefits from turmeric that I have mentioned above. The second problem with turmeric is that it is poorly absorbed by the body. Turmeric is quickly degraded by the stomach acids and very little gets into the bloodstream. Research has shown that turmeric is not water soluble but dissolves efficiently in fats. So look for a supplement that either coats the turmeric in an enteric coating, which is expensive, or use one that contains some form of oil to ensure the greatest availability to the body. The supplement that I tend to recommend is Super Bio-Curcumin by Life Extension, a supplement that contains a patent pending extract of turmeric containing 95% curcuminoids in a base containing oils derived from turmeric root for greater absorption. This specific patent pending extract has been shown absorb seven times better than conventional curcumin supplements and remain in the bloodstream twice as long ensuring maximum protection. Scientific studies on the therapeutic properties of curcumin are ongoing. It is very clear that this plant has powerful healing properties. Unfortunately most of us simply do not use turmeric in our diet. Turmeric appears to protect the genetic material within our bodies, quench inflammation which is the causal factor for many age related diseases and protect the cardiovascular system. We hear of superfoods all the time, such as acai and goji, but I strongly believe that turmeric should be really be labelled as a’ superfood’. The choice to supplement using Super Bio-Curcumin is in my opinion a no-brainer. I use a really good quality turmeric supplement. It’s incredible. However, for me, the only downside is that my hair suffers. It becomes brittle, breaks off and falls out at the roots. I’ve tested this theory over the years and it’s definitely the turmeric that does it. It’s a real drag because otherwise I always looks better when I’m taking them. I’m lucky to be a size 8 and at 55 I too am told that I too look younger. My hair is coloured like yours and it’s usually in really good condition. It goes like ‘dolly’ hair when i take turmeric… awful. I’m wondering whether I should reduce the dosage. I take Lamberts 10,000mg (as 500mg of extract). Ha… my kitchen cupboard is full of supplements that I dip in and out of. It costs a fortune! I must confess I’ve never heard of such a reaction to turmeric but yes it would seem you need a smaller dosage. Also you could try curcumin instead which is the active ingredient in turmeric. I myself can’t tolerate turmeric as it is too strong for my gut, but I’m absolutely fine on cur cumin.